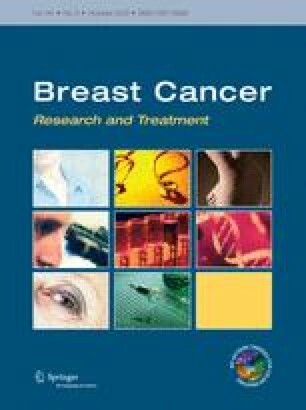 Vitamin D regulates expression of genes important in development and progression of breast cancer. The association of vitamin D with breast cancer outcomes among breast cancer patients is controversial. We conducted a systematic review and meta-analysis of this association in early stage breast cancer outcome. We searched MEDLINE (1982–May 1, 2013), the American Society of Clinical Oncology (2009–2012), and the San Antonio Breast Cancer Symposium (2010–2012) for abstracts, using the following keywords: “breast cancer” and “prognosis” or “survival”, and “vitamin D” or” calcitriol” to identify studies reporting the associations of blood vitamin D levels (drawn close to diagnosis) with breast cancer outcomes. Meta-analyses were performed using an inverse-variance weighted fixed-effects model with Stata Version 12. Eight studies including 5,691 patients were identified. Vitamin D deficiency was variably categorized across studies; a median of 36.8 % of patients were classified as deficient. Low vitamin D levels were associated with a pooled hazard ratio of 2.13 (95 % CI 1.64–2.78) and 1.76 (95 % CIs 1.35–2.30) for recurrence (six studies) and death (four studies), respectively, with no evidence of significant heterogeneity across studies. There was potential evidence of a publication bias in studies examining associations with death (but not in those examining associations with recurrence). These findings support an association of low levels of vitamin D with increased risk of recurrence and death in early stage breast cancer patients. Given the observational nature of the included studies, it cannot be concluded that this association is causal. Further research is warranted to investigate the potential beneficial effects of vitamin D in breast cancer.